Our entire collection of apps is included in ON1 Photo 10. 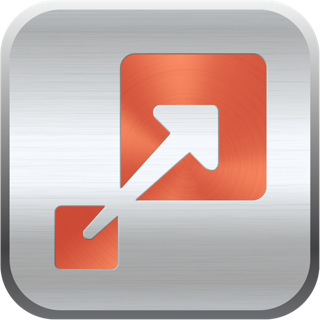 Browse, Effects, Resize, Portrait, Enhance, and Layers. Photo 10 works as a standalone application or an Apple Photos Extension. Browse and manage photos wherever you keep them; On your computer, an external drive or your cloud service. 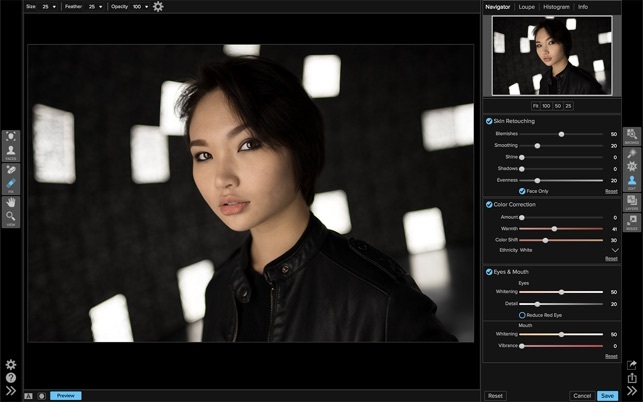 ON1 Photo 10 includes everything you need to manage and edit photos with non-destructive Smart Photo technology. Enhance color and detail, retouch portraits, add effects, share, and swap faces and backgrounds easily. Whether you want to organize your photos, create an HDR or B&W look or enlarge them for print, Photo 10 is all you need. Just the tools you need. Our collection of tools is designed to solve specific problems photographers face, be simple to use, and perform complex tasks - the easy way. 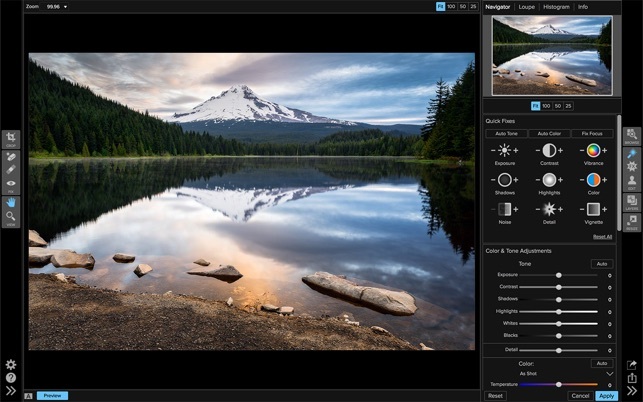 Photo 10 has every tool and feature you need to edit any type of photo. Make your photos stand out from the rest. Includes everything needed to add any effect to your photos. Stack and blend filters, borders and textures to create your own unique look. Effects has hundreds of professional-grade presets and 23 stackable filters. Enlarge photos up to 1000% and get the highest quality photo enlargements. Features the patented Genuine Fractals® technology. Quickly enlarge photos without the loss of sharpness or detail. You can also crop, enlarge and sharpen photos for the perfect print every time. 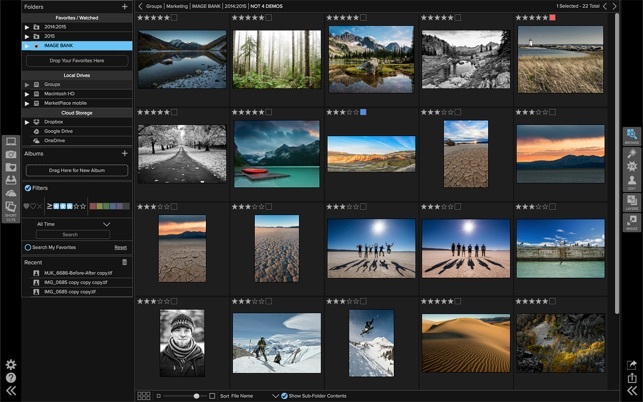 A lightning fast photo browser without a slow catalog or import process. Quickly sort, cull and edit photos from a shoot. Quickly ditch the bad ones, rate the good ones, add keywords, and much more. 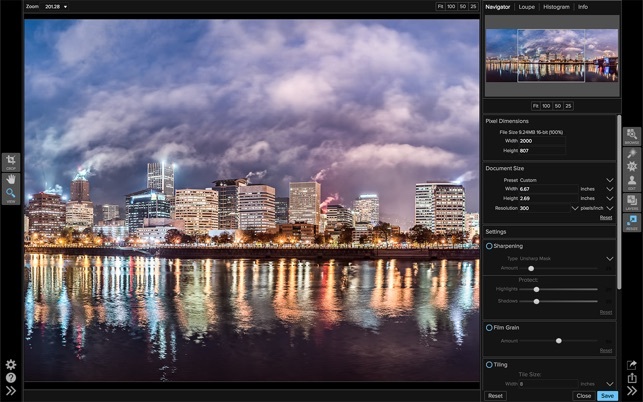 Quickly and easily adjust the crop, lighting, color and detail in your photos. Then move on to adjusting exposure, contrast, white balance, reduce noice, add vibrance, detail, or add vignettes. Store your settings and adjustments of the enhancements for future use. Includes everything you need for color correction, exposure adjustments, highlight/shadow recovery, noise reduction, and object removal. Portrait retouching is easier than ever. Automatically find faces, eyes, and mouth and have them retouched for you. You control how much retouching there is. You can do basic or advance skin retouching, blemish reduction, shine removal, color correction, brighten eyes, and whiten teeth. 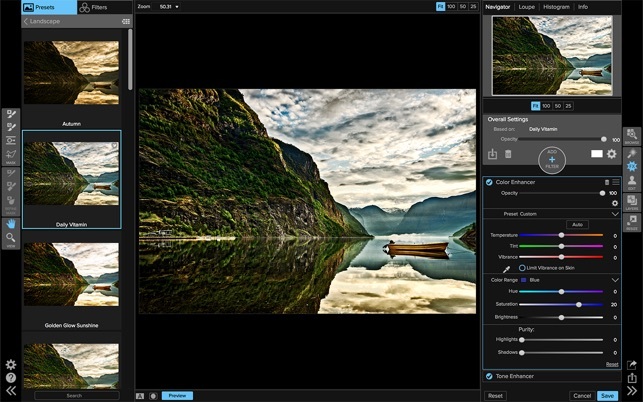 Layers allows you to create composites by combining or stacking photos without having to use Adobe® Photoshop®. Layers includes precise masking tools, and layer control, plus a library of royalty-free, backgrounds, borders, and textures. Simplified batch processing allows you to process multiple photos with just a few clicks. Change size, file-type and use presets from Enhance or Effects. Create your own presets and use from any ON1 Photo 10 app. Does work properly and is not the last version, beware! I bought this program due to good reviews of the ON1 Resize App. The App Store does not sell the last version: since then there’s the 2017 and 2018 versions! This is very confusing and missleading. BEWARE. On MacBook Pro 16GB, the App crashes or take all the memory just to upscale an image for a poster. No way to use it seriously. It crashes even doing nothing! I sent a message to Apple, this is not refundable. I asked support at ON1, no answer. It’s extremely frustrating: why ON1 keep an old version of their program on the APPSTORE, at the same cost than the new version. This sounds like a SCAM!